Place your inner joy over profits, make your living experience a prayer! When happiness is your ROI, you are living a Life that matters! Yesterday a guest, who I was inviting to be on my Bliss Catchers show, wanted to know why I curate this Event Series. I said it makes me happy. “I love doing it,” I added. But he persisted and was keen to know what I got “out of it” – as in what is my material “return on investment” (ROI)? I clarified that, to me and Vaani, just being happy was the single-most important criteria for doing anything. Happiness is the only ROI we look! Yes, money is important. We all need money. And we particularly need all the money that can come our way because we need to climb out of our financial situation – our bankruptcy – and turn debt-free. But when you can’t get money (as is evident from our experience), you can still do what you love doing for just the joy of doing it. So, we curate Events such as The Bliss Catchers , The Uncommon Leader and Heart of Matter – Happiness Conversations , I blog here daily and I deliver Talks even for organizations (NGOs and not-for-profit enterprises) that can’t afford to pay me a fee. Inspiring Happiness is now our raison d’etre, our Higher Purpose, for Vaani and me. There are two parts to earning a living in Life as I have understood it. You can work for profits and you can work for joy. The ideal situation is when you can just work for joy. But you need to pay your bills, so the second most ideal situation is when you can work for both joy and profits – which is to make money while doing what you love doing. It is only when you forsake what you love, and go work only for profits, at the cost of your inner peace and joy, that you lose the plot. You suffer and feel miserable earning all the money that you do. So, for Vaani and me, when our business failed, we decided to retain our focus and only do what gave us joy. Therefore, even when we do not always get the opportunity to monetize what we do, we go ahead and do them, because doing them makes us very, very, in fact deliriously, happy! I have realized that if you immerse yourself in what you love doing, you lose yourself to Life; then your entire living experience is a prayer! When you immerse yourself in what you enjoy doing then it ceases to be work. It becomes your Life. Then no loss or challenge can pin you down for too long. Then your energy, the one within you, resonates with the Universe’s energy. In that beautiful communion, an inner peace, a rare joy, takes over. And your entire Life becomes a celebration, a prayer, an offering to this Universe! Author AVIS ViswanathanPosted on October 18, 2016 October 18, 2016 Categories Follow your Bliss, Happiness, Heart of Matter - Happiness Conversations, Joseph Campbell, ROI, The Bliss Catchers, The Uncommon Leader, UncategorizedTags Art of Living, AVIS Viswanathan, Fall Like A Rose Petal, Happiness, Happiness Conversations, Happiness Curator, Heart of Matter, Immersion, Inner Peace, Intelligent Living, Life Coach, Madras Management Association, Misery, MMA, Osho, Spirituality, Suffering, The Bliss Catchers, The Uncommon Leader, Vaani, Work Becomes PrayerLeave a comment on Place your inner joy over profits, make your living experience a prayer! Your physical and emotional well-being are a function of what you choose to do. I have a rheumatoid arthritic (RA) condition. It is very painful at times and the pain often radiates from my upper back and travels to my shoulders or limbs. Last week, I was throbbing in pain most nights. I also had to travel by road on Friday last for three+ hours to Chittoor to address students. My session at a medical college there was for eight hours. While I was in a great amount of pain even when I arrived there, during the day, despite it being physically taxing – being on the floor, addressing a 100+ audience without a microphone – I healed. My pain had vanished by the time I finished the session closer to 6 pm. Yes, I was tired. But I was not in pain. The RA condition resurfaced by Tuesday this week. But yesterday I spent a lot of time doing housekeeping chores around my home. I love cleaning surfaces, dusting cobwebs, polishing toilet fittings, wiping down tiles and making even furniture or photo-frame crevices dust-free. In the hour I spent doing all this work, I healed again. I have noticed this time and again. In fact, I talk about a similar experience, that happened in 2010 – again in Chittoor interestingly, in my Book, Fall Like A Rose Petal (Westland). Every time I have an immersive experience doing what I love I heal. People ask me how I manage to find the time to write my Blog daily. Honestly, I don’t have to work too hard. I enthusiastically look forward to writing daily. It is very therapeutic. In the time that I am writing, there’s a communion, through a confluence of my innermost feelings with thoughts, with words, with my fingers tapping away on the keypad – with the way everything flows and appears on my laptop screen. There is an effortlessness. There is a flow. In the time that I write, I guess there is no ‘I’, there is no AVIS, there is just a oneness. This happens to me every time I address audiences as well. And whenever I am doing housekeeping. Of course, I lose myself in music or nature too. 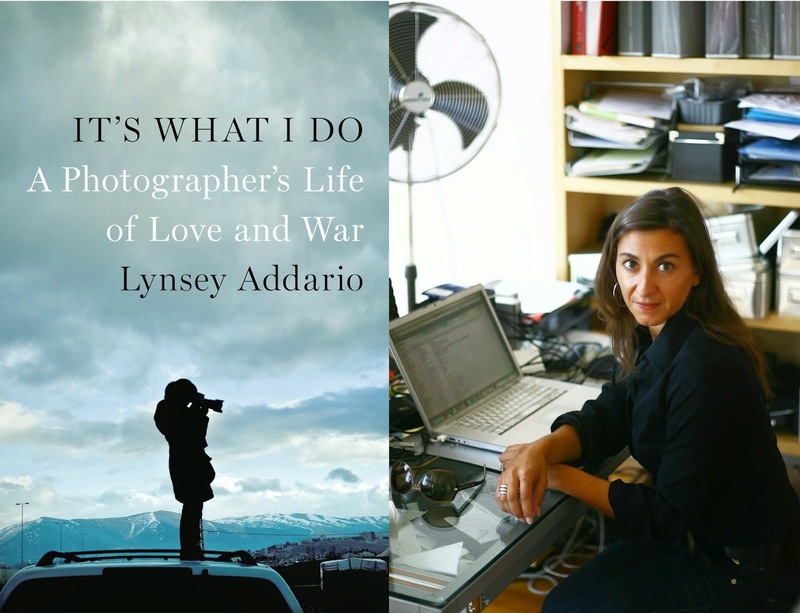 But nothing matches the feeling I experience, of total immersion, with writing, speaking and housekeeping. This is not just uplifting, it is therapeutic and healing. The only reason I can attribute to why I lose myself, or heal, is that I am, in those times, doing what I love doing the most. 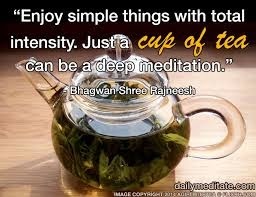 Osho, the Master, refers to this as immersion. He says, “When the dancer becomes the dance, magic happens!” So I guess I become the expression – whether I am writing, speaking or cleaning. This healing is not just at a physical level. You also heal at an emotional level. The only way to experience this personally is for you to consider how you are feeling just now, drop whatever you are doing and immerse yourself in whatever you love. In just a while, you will feel infinitely better. Now, if you can replicate this feeling consistently, by doing only what you love, then you will be a lot healthier and happier than you are currently! The key operative word in the ‘Follow Your Bliss’ philosophy is ‘your’. 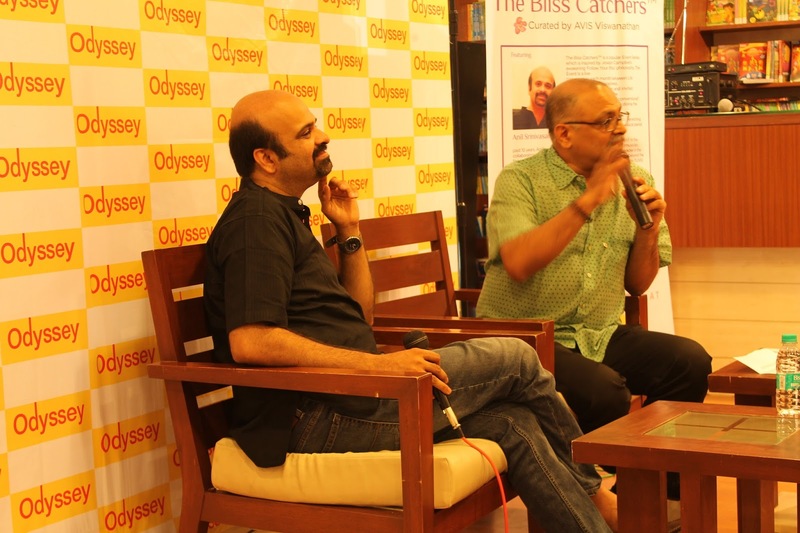 I lead a monthly conversation series called The Bliss Catchers at Odyssey Bookstore in Chennai. The series is inspired by American mythologist and author Joseph Campbell’s (1904~1987) philosophy of Follow Your Bliss. Vaani and I bring in people into the conversation each month who have dared to give up predictable paths and go do what they love doing in Life. So, I am often asked these questions. What if everyone in the world follows their bliss? Won’t society collapse because there may be no one to do those jobs that are a drudgery or are menial? Someone who visited us last week too asked me these questions again. And this person insisted that ‘following your bliss’ is detrimental to our social structure. This is what I shared with him. First, let’s focus on what ails our society and what can possibly be the fix. There’s so much emphasis right from birth, through the growing up years, that by the time a person turns an adult, she or he is obsessed with earning a living. Our social conditioning has forced people to look for material wealth – money and things – all the time. But materialism leaves people incomplete, there’s a lack of fulfilment all around. Which is why people across the world are hugely unhappy. Folks like Campbell and British philosopher Alan Watts (195~1973) have stood up to remind us, again and again, that our lifetime is limited. So, they have championed that it is more important to be happy doing what we love doing than just earning money. They encouraged us, in their own ways, to follow our bliss, to live as if money were not an object, and watch how Life always, unfailingly, helps us to be happy doing what we love the most. Vaani and I have personally experienced the ‘opening of doors, where only walls existed’, when we have stayed rooted to our bliss. Campbell, in fact, said, ‘follow your bliss’. He didn’t say ‘follow bliss’. The ‘your’ is very significant. It means focus only on what gives you joy. The emphasis is on the individual. Not on society. The point here is that if each one follows her or his bliss, we will find our world to be a happier place than it is now. Second, too much logic, too much analysis, constant comparison of the individual with peers, with social trends, is what has wrecked inner peace and happiness. Life is meant to be lived in the moment and enjoyed from moment to moment. If you can do what you love doing, for all your Life, then you are alive, you are living, and not merely existing. That’s how you live in the moment – immersed, in bliss. So, drop all your analyses, stop looking at others, follow your bliss first. See how you feel, see how your Life unfolds magically in the direction of your bliss and then see who else you can inject this spirit of discovery and inner joy with. Third, even if, hypothetically speaking, all the 7.5 billion+ people in the world follow their bliss, it’s a cause for celebration not worry. The world will be so much more happier! Everyone on the planet will be thriving. Not existing. And in branding a job as drudgery you are being judgmental. Cleaning toilets may seem like drudgery to you, but may surely be someone else’s bliss. I am sure for almost every vocation out there, champions exist. And through following their bliss, of doing what they love doing, they will not only do things, that you may loathe, better, they will also do them happily! Bottomline: just focus on your bliss. Nothing else. As they say on a plane, place the oxygen mask on you, before you help another get it on. So, you be happy first. When you are following your bliss, your happiness becomes infectious and your immediate world becomes happier. This is the way we can make our world blissful – one person at a time!